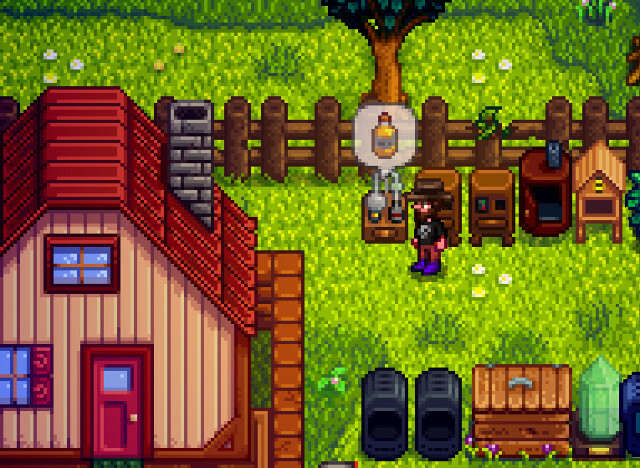 In Stardew Valley, it might not be immediately clear where you can find truffles or what to do once you have one, and several players have been confused about this. So here’s a super quick guide to help you solve the mystery of truffles. To acquire truffles, you must have at least one adult pig. In order to get one of those, you’ll have to have at least one Deluxe Barn, which is the third tier of Barn. (You’ll have to go to the Carpenter’s Shop and upgrade your Barn to a Big Barn, then your Big Barn to a Deluxe Barn.) 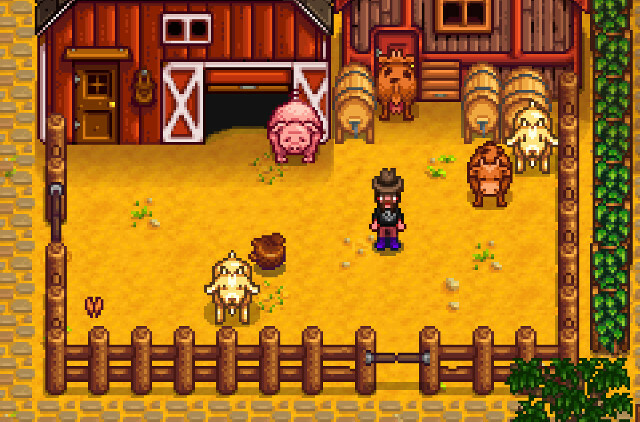 Once your Deluxe Barn upgrade is complete, you can visit Marnie’s Ranch (south of your farm) to buy a pig. Once the pig grows to adulthood, it will begin digging for truffles whenever you let it outside of the barn. You should find truffles near where the pig roams once every two or three days (and you might find two on lucky days). Note: It’s handy to have a fenced in yard so your animals don’t stray too far from home. 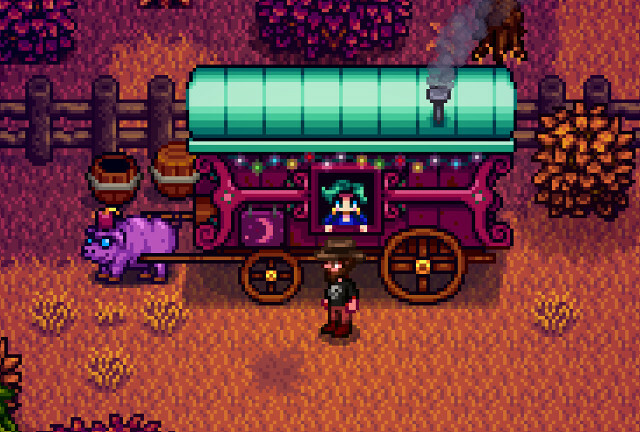 Of course, if you’re really lucky and have some extra cash, you might be able to pick up a truffle from the Traveling Cart. Note: You can also make oil by using corn, sunflowers, or sunflower seeds in your oil maker, but it won’t be truffle oil.